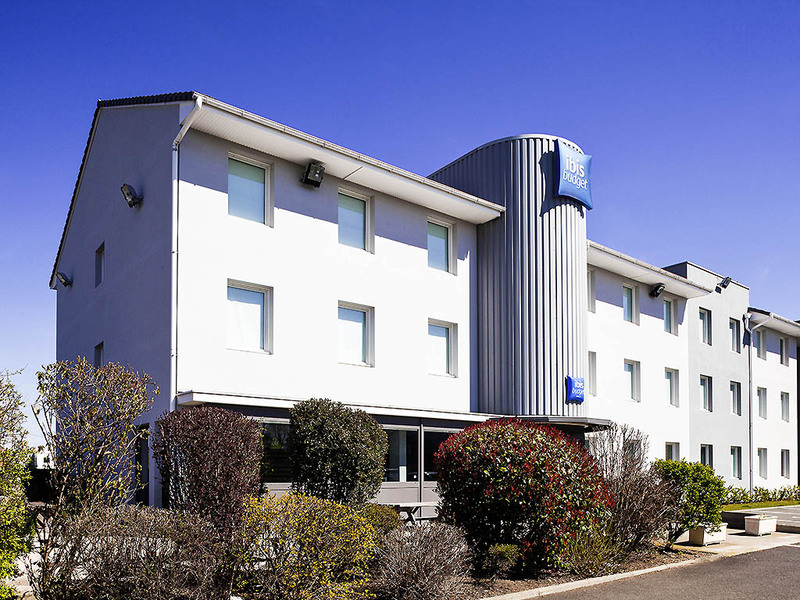 On the edge of the Auvergne Volcanoes Regional Park, the 2-star ibis budget Riom hotel (formerly an Etap hotel) offers you a comfortable, functional and renovated room with air conditioning, located at exit 13 of highway A71, at the intersection of the A8 9, A71 and A75 highways. Discover the best destinations in Auvergne: Puy de Dôme, Vulcania, the Zénith, Polydome, Volvic or L'Aventure Michelin. Build your strength before visiting our beautiful region with our great-value unlimited buffet breakfast! Hotel with 56 fully renovated rooms for 1 to 4 people. Free WIFI, flat-screen TV with Canal+, free enclosed and secure car park. The ibis Budget hotel is adjacent to the ibis hotel (red), and we welcome you 24 hours a day.